Livestream: what do you want to know about the new OnePlus 6? On the OnePlus 6 there are several improvements over the OnePlus 5T. 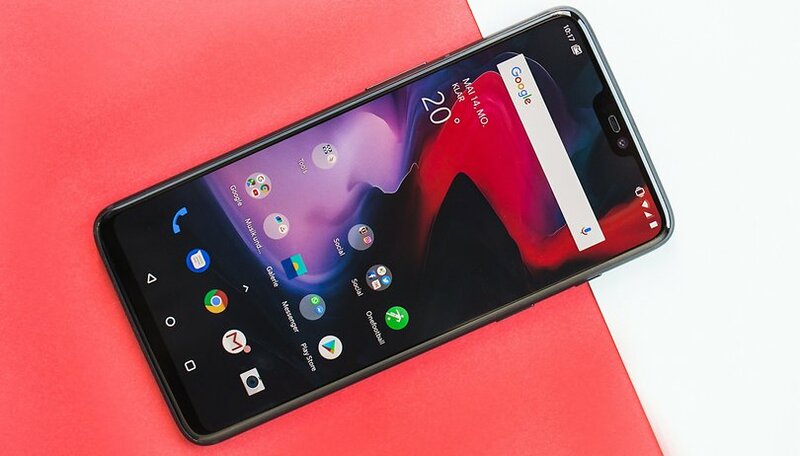 Don't expect a unique design or new features, instead the OnePlus 6 brings powerful tech specs for a good price compared to the latest released flagships without any big surprise. What do you think about the new OnePlus 6? Would you buy it? What will we be talking about this Friday? We can finally admire the OnePlus 6 together and take a look at technical specifications and features. The new OnePlus flagship introduces the notch, which will disappoint some of you, and abandons the microSD slot, stereo speakers and IP rating. Besides that, the AMOLED display is good, Qualcomm's Snapdragon 845 is able to offer fluid performance and the phone itself looks great! The camera has been optimized and despite not mentioning artificial intelligence, it is able to recognize scenarios and adjust the settings accordingly. What do you think about the brand's new high-end smartphone? We're ready to answer your questions! Be sure to tune in at 11:30 am Eastern US time (or 4:30 pm if you are in the UK) on our YouTube channel or our Facebook page. See you then! i'd like to know how they plan to stay in business when they are abusing their customer base with shady marketing tactics like the "T" variants.